Update: Giveaway winners announced below! 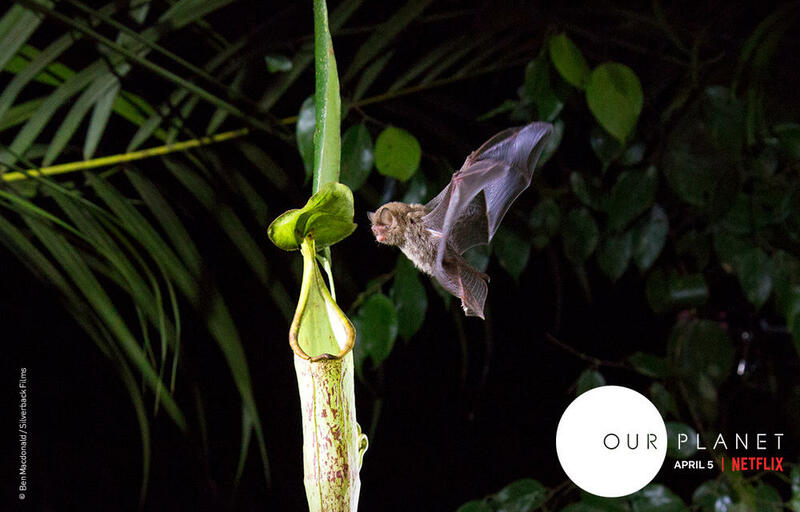 Eight-part Natural History series launches globally on Netflix: Friday 5th April 2019. World-renowned naturalist Sir David Attenborough will serve as the voice of upcoming Netflix original documentary series. The ground-breaking, eight-part series will showcase the planet's most precious species and fragile habitats, revealing amazing sights on Earth in ways they’ve never been, seen using the latest in 4k camera technology. The series will focus on the breadth of habitat diversity around the world, from the remote Arctic wilderness and mysterious deep oceans to the vast landscapes of Africa and diverse jungles of South America. Colin Butfield, Executive Director of WWF-UK and Executive Producer of Our Planet, said: ‘We’re the first generation to know the full impact of what we’re doing to our planet, and the last that has the chance to do anything about it. 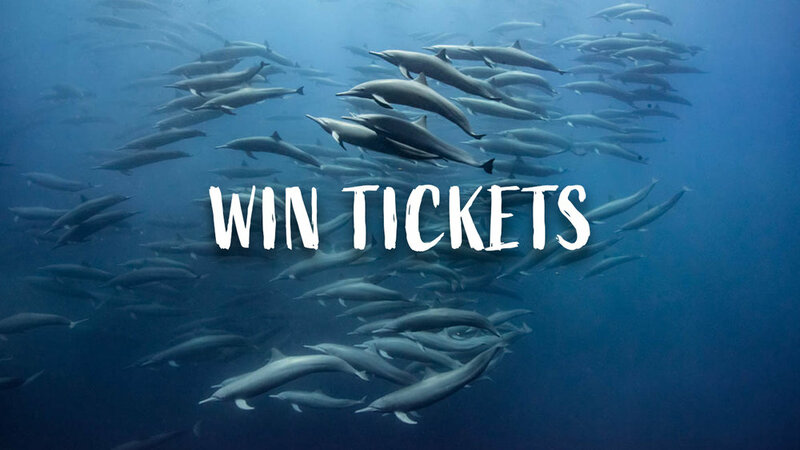 Netflix has provided us with three pairs of tickets to giveaway, to a special screening of Our Planet, a new Netflix documentary series narrated by Sir David Attenborough, at the Belfast Odeon on 4th April 2019. Doors open 6:00pm. Watch a live stream of the Global Premiere from London’s Natural History Museum attended by Their Royal Highnesses The Prince of Wales, The Duke Of Cambridge and The Duke of Sussex, followed by an exclusive screening of the first episode ahead of series launch on Netflix. Enjoy interviews with ambassadors, celebrities and some very special guests, to celebrate the launch of this groundbreaking new series. NI EXPLORER has three pairs of tickets to giveaway. To enter, simply like and comment on either our Facebook or Instagram giveway posts (recognised by the image above). Good luck! Full terms & conditions further below. 1. Promotion is run by NIEXPLORER.com, with tickets made available by Netflix UK. 3. By entering, you agree to be contacted by NI EXPLORER about the giveaway and for NI EXPLORER to use the information submitted for any purpose in connection with the promotion only. 4. Giveaway starts on Tuesday 2nd April 2019 at 9.00am and closes on Wednesday 3rd April 2019 at 8.59am. 5. There will be three winners, each winning a pair of tickets to the special Our Planet screening in the Odeon Cinema, Belfast on Thursday 4th April 2019. 6. Entry to the giveaway is by mentioning on the NI EXPLORER Facebook or Instagram giveaway posts who the entrant would bring if they won. 7. Only one entry per person, per channel (i.e. someone may enter maximum twice, by commenting on both Facebook and Instagram). Winners will be selected at random across all entries on Facebook and Instagram. 8. The winners will be announced after the giveaway has closed and before 11am on Wednesday 3rd April 2019 on this page. Winner will be contacted via private message on the respective platform that they entered on, and will have 12 hours to accept prize, otherwise a new winner will be drawn. 9. Winners will each be sent a link to redeem their pair of tickets for Thursdsay night. 11. This promotion is in no way sponsored, endorsed, administered by, or associated with Facebook or Instagram. By entering this promotion you understand that you are providing your information to NI EXPLORER and not to Facebook or Instagram. Your information will not be used for any other purpose than to be contacted if you have been chose as the winner. 12. NI EXPLORER reserves the right to vary, alter or terminate this promotion due to unforeseen circumstances. The decision of NI EXPLORER is final and binding and no correspondence shall be entered into.